With the start of summer, two of Pisa’s greatest monuments in Piazza dei Miracoli will be lenthening their opening times beyond sunset: the Leaning Tower and the Camposanto, starting June 17 and up until August 31, 2017. Both will remain open until 10pm. The initiative, offered by the Opera della Primaziale Pisana, is intended to give visitors more as well as different occasions in which to enjoy the monuments within the Piazza. The evening climb up the Tower is enriched by the magnificent view of the city from above, covered by the colors of sunset and then of the night, in silence and peace, when the majority of day tourists have left the city and square. 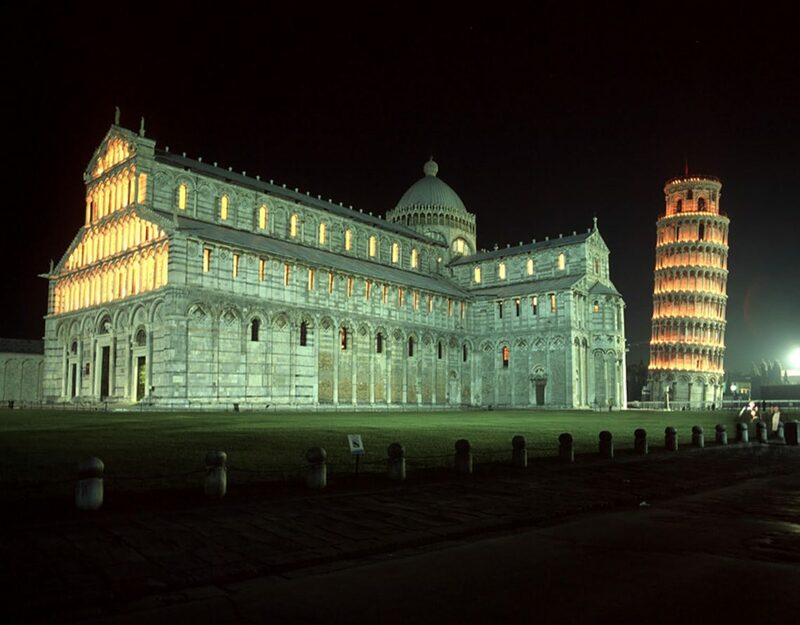 With its height of 58.36 meters and 273 steps to climb to reach the top bell area, the Tower of Pisa, knowm worldwide for its beauty as well as miracle in inclination, is surely the jewel of the Piazza dei Miracoli in Pisa. Makre sure to book your tickets ahead of time (as each time has limited number) here. Nevertheless, don’t forget to include a visit to the Camposanto as well. The last episode of the “Cycle of the Triumph of Death”, the Last Judgement by Buonamico Buffalmacco, returned a few months ago from an important restoration project that has returned the frescoes to their primitive splendor. During the evening hours, the frescoes are particularly suggestive under special lighting that respects the sacredness and intimacy of the hoy ground while exalting the narrative and style of the stories painted on its walls. 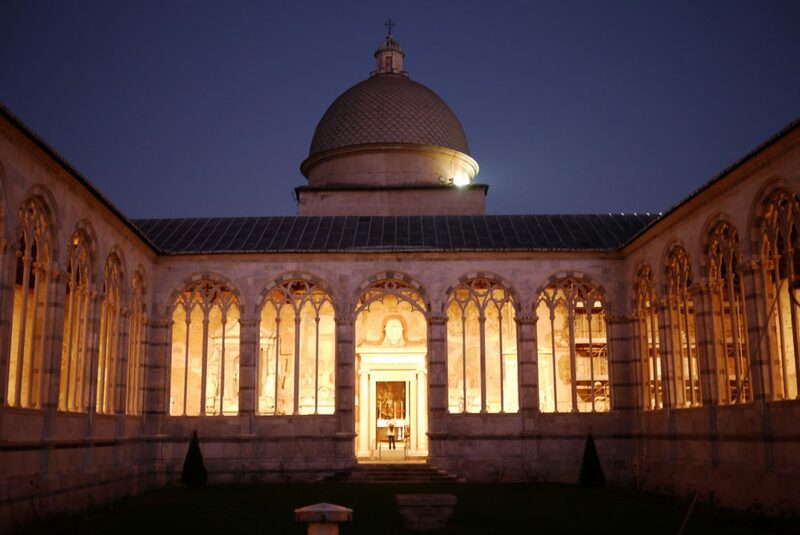 The last of the monuments built in the square, the Camposanto is an extraordinary quadrilateral cloister that encloses the northern side of the square with its white marble facade. It is also one of the most ancient buildings from Medieval times dedicated to the cult of the dead. The Camposanto was constructed, in fact, to be both a burial spot for the dead ad well as a teaching tool for the living who have been invited over the centuries to reflect on their earthly and eternal life through a study of the grandiose cycle of afrescoes. Severly damaged in a fire during World War II, the majority of the frescoes have been now restored and returned to the Camposanto.